A new study suggests the first known interstellar meteor may have struck Earth in 2014. If it was real, the interstellar visitor could be the second known interstellar object to enter our solar system. Even though there have only been two discovered interstellar objects so far, they are likely common and could have helped bring life to Earth, the researchers said. The first known interstellar object to visit our solar system was the cigar-shaped ‘Oumuamua, an asteroid or comet that was first spotted in 2017. The interstellar object quickly captured the spotlight and sparked a lot of theories, including conspiracy theories suggesting it could be an alien spacecraft. According to Avi Loeb, astronomy chair at Harvard University, smaller interstellar visitors like meteors are believed to be much more common, with some of them having small impacts on Earth that aren’t as noticeable, Space.com reported. Loeb and the study’s lead author, Harvard undergraduate student Amir Siraj, suggested in the new study that the first known interstellar meteor collided with Earth in 2014. To uncover it, researchers studied the Center for Near-Earth Object Studies’ catalog of meteor events caught by U.S. government sensors and focused on the fastest-moving meteors. The meteor’s high speed suggests it wasn’t gravitationally bound to the sun, which is why they believe it originated from outside our solar system. The sensors detected a 3-foot-wide meteor on Jan. 8, 2014 at an altitude of 11.6 miles near Papua New Guinea’s Manus Island in the South Pacific. It was moving at a speed of 134,200 mph with its trajectory suggesting it originated from outside of our solar system. The researchers combed through 30 years of data to see whether there were other impacts similar to the one they identified as the first known interstellar meteor to approach Earth. They noted two other meteors which traveled at the same speed. However, they also said one of them was gravitationally bound to the sun, while it’s not clear if the other originated from outside our solar system. If we assume Earth was struck by three meteors with potential interstellar origins over the course of 30 years, researchers estimate that there are roughly a million interstellar objects per cubic astronomical unit in the galaxy. They also said each nearby star could gravitationally toss roughly 60 billion trillion interstellar rocks from its system. 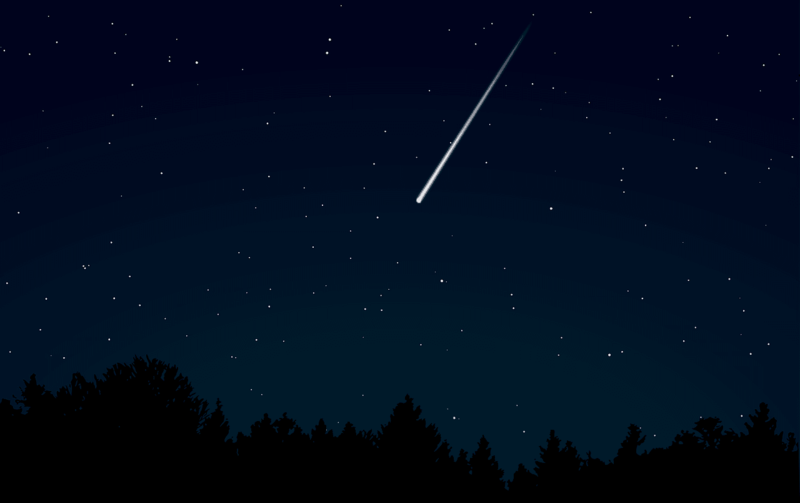 In the future, researchers plan to extend their study by setting up an alert system which can train telescopes to detect meteors that travel at high speeds, determine whether they are gravitationally bound to the sun, and analyze their gaseous debris. “From that, we could infer the compositions of interstellar meteors,” Loeb told Space.com. Their findings were submitted to The Astrophysical Journal Letters and are currently available on the free preprint website arXiv.org.